We were recently invited to represent Singapore at Digital Thailand Big Bang 2018, claimed to be the largest digital exhibition of its kind in Southeast Asia. The event spanned 5 days and had participants and exhibitors from the private and public sectors from all over the world. 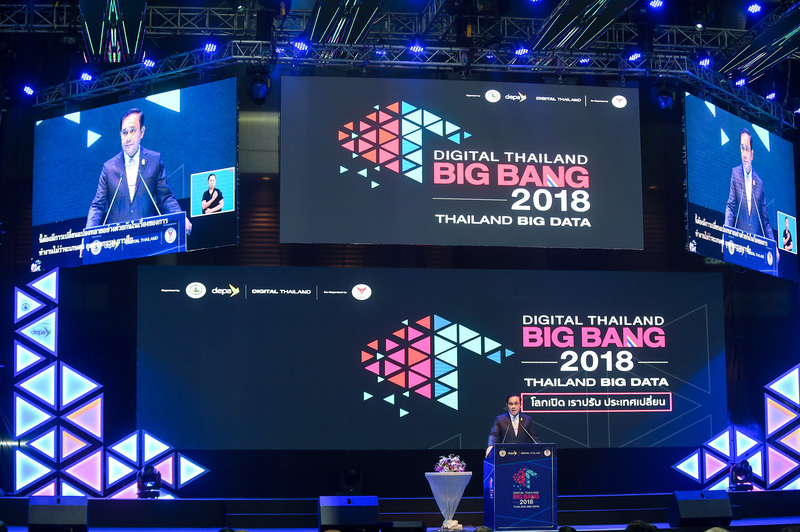 Prime Minister Gen Prayut Chan-o-cha inaugurating the opening ceremony of Digital Thailand Big Bang 2018. When we entered the exhibition hall, we were greeted by the Prime Minister Gen Prayut Chan-o-cha giving the opening speech for the event. In his speech, he highlighted the importance of digital technology as the key driving force in his government’s Thailand 4.0 initiative — a 20-year national roadmap to modernise the country’s economy. With the 4th industrial revolution fast approaching, new technology like artificial intelligence (AI) , robotics and automation are set to spearhead the next wave of global economic growth. The Thai government, like many countries in the world, wants to ride on this new wave to overcome past economic challenges resulting from previous economic development models. I took a short walk around the exhibition and I found so many booths sprinkling buzzwords on their products — AI, big data, blockchain, Internet of Things (IOT). I wondered — for all that it’s worth — how good are these pieces of technology? 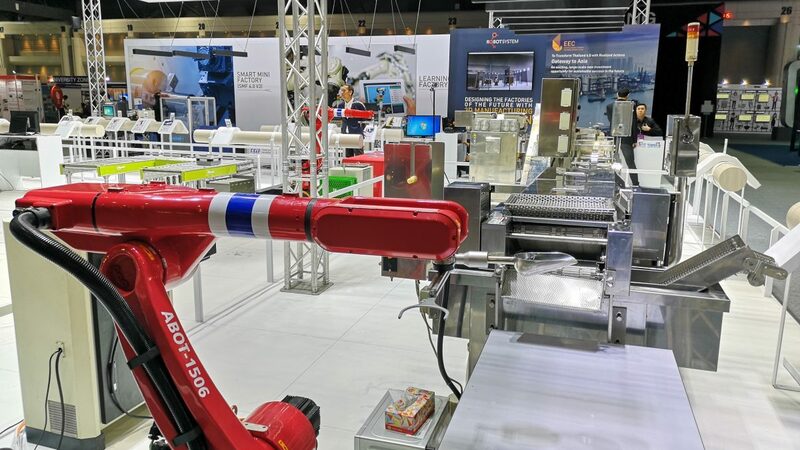 Robots and automation machines paved the walkways of the convention hall. I was a little surprised to see JD.com, one of the two largest e-commerce in China, at the conference. 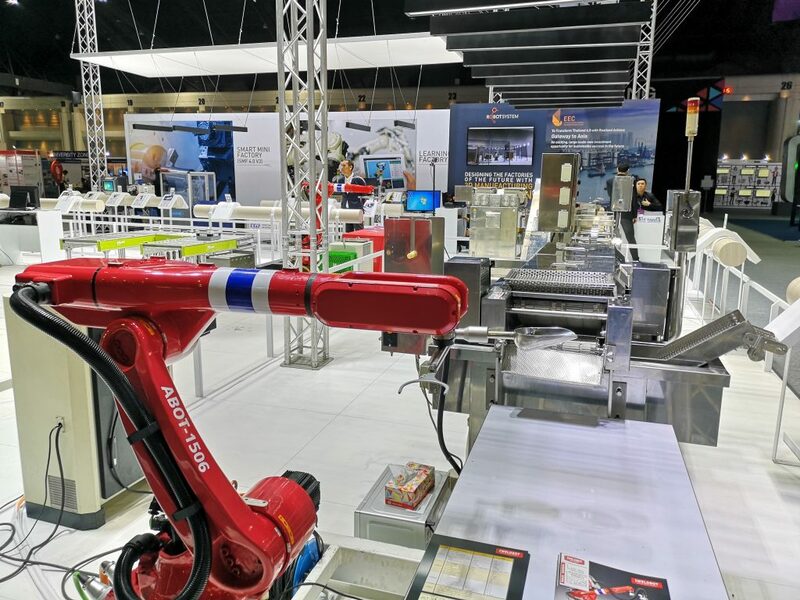 They brought with them their arsenal of warehouse automation machines to the exhibition. JD is expanding into Thailand as part of their new strategy to penetrate the Southeast Asia market against their competitor — the Alibaba-owned Lazada. JD.com recently unveiled a warehouse that can process 200,000 orders a day with just four people. I watched a video of JD’s ‘fully automated warehouse’ at the display booth and I was in awe. I have never seen anything so grand, massive and technologically advanced. In the video you can see robotic arms, futuristic conveyer belts and robots zipping around in the warehousing facility. I thought to myself, “This must be the Holy Grail of logistics automation!”. JD.com may not be as profitable as its rival Alibaba due to their overarching investment in technology and real estate — this is reflected in their earnings. However, this isn’t a primary concern because in the company’s grand scheme of things, it firmly believes that the battle for retail superiority lies in logistics. In order to understand the role of logistics in retail and the supply chain, Logan and I popped by the Last Mile ASEAN Conference which was also happening around the same time as Digital Thailand Big Bang. Last mile logistics is set to undergo a huge makeover in the near future and its role in retail and procurement cannot be understated — this is where companies and brands win or lose customers. For many businesses, last-mile services or end-stage logistics are involved in getting orders to customers. However, for traditional brick-and-mortar retailers, last-mile services is simply not a core strength. These businesses were built around the idea that shoppers come in, find something they want, buy it, and take it home. It worked well enough for many decades. Companies like Amazon has completely spoilt us with free-delivery, next-day delivery, same-day delivery, store-pickup options and etc. This has completely changed consumer behaviour and consumers are about to get even more demanding, a new survey shows. Consumers are never going back to how things were. Following this change in consumer behaviour, business procurement is set to follow suit and that is why Eezee too pays very close attention to our last-mile services. The future does seem very alluring with all these new technologies. I wonder what kind of new opportunities will open up in this new digital paradigm. However, at this point of writing it got to me — what if every single robot that was in JD’s video represented a single human worker? 70 million Americans, or about one-third of all U.S. workers, could see their jobs displaced by 2030. More than half of Singaporeans think that automation will not help them do their job better and 19% fear losing their jobs to automation according to a recent survey by recruitment firm Randstad. I shudder to think of what will happen to the livelihood of the many drivers, warehouse workers and elderly workers if they are unable to adjust to the new realities of the digital world. Fully self-driving cars could be more than a decade away. While technological disruption is slowly creeping into our daily lives and it is approaching faster than we think. For these people, re-skilling and adapting is probably the way to survive in this new paradigm. The Singapore government is preparing the workforce for the new digital age by encouraging upskilling and learning of new skills through initiatives like Skillsfuture. Not everyone will stand to benefit equally in the upcoming digital revolution. Same as any other industrial revolution in the past, some will get to claim a bigger portion of the pie for themselves while others lose theirs. I worry for our ‘old economy’ workers who are getting on in age — many of whom may one day wake up and find their jobs replaced by robots. While the digital revolution is certainly unavoidable, Singaporeans should keep an open mind and embrace this new change instead of fighting back. In the future, education will play an even larger role than before by helping everyone —young and old — find relevance in this age of disruption.